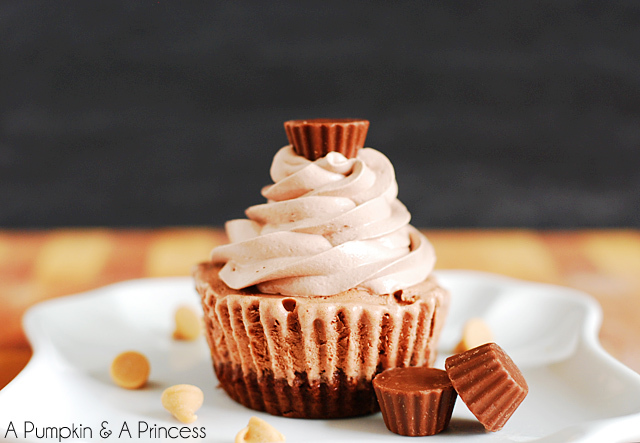 Prepare cake mix and stir in Reese's peanut butter chips. Pour 1 tablespoon of cake mix batter into each muffin cup. Bake for 10-12 minutes; allow cupcakes to cool. Top cupcakes with slightly melted ice cream. Freeze for at least 2-3 hours, preferably overnight. Top with Cool Whip frosting and mini Reese's peanut butter cup.